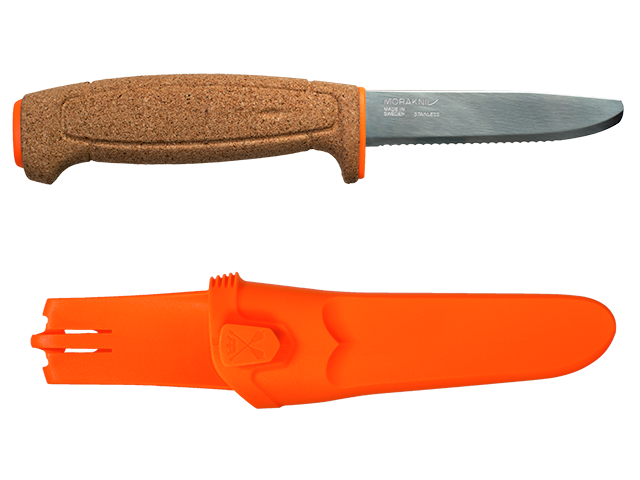 The Morakniv Floating Serrated Knife is a fixed blade knife that, thanks to the designed handle of cork actually floats. The thin serrated blade of stainless steel is specially designed to handle the cutting of rope, fibers, and nylon. 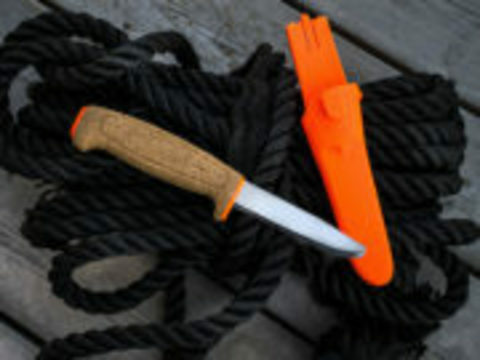 The Floating Serrated Knife has a core and a sheath made of orange Highly Visible polymer making it easy to locate. 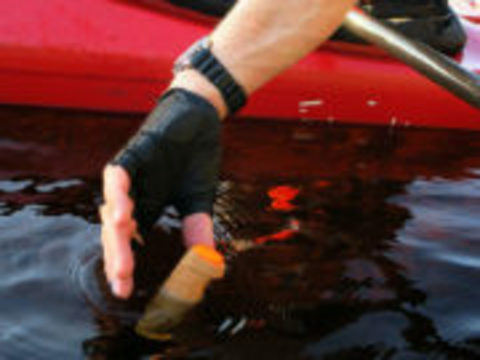 The Floating Serrated Knife is a very lightweight knife, easy to take with you by connecting it to your belt, backpack or lifesaving vest with the clip on the sheath. It’ also possible to attach it to a button, for example on your working clothes. 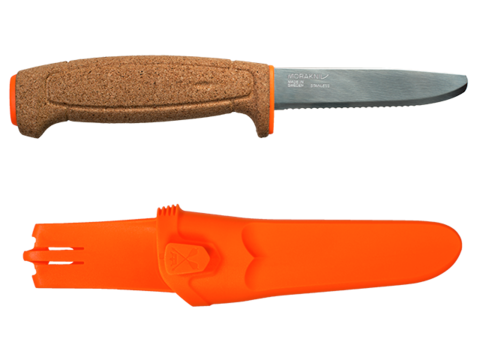 An orange Highly Visible sheath with a smart button lets you connect and link several knives from our Craft segment, giving you the opportunity to carry your preferred combination of models. The thin blade of stainless steel has a rounded tip, keeping you and your boat safe from injuries.